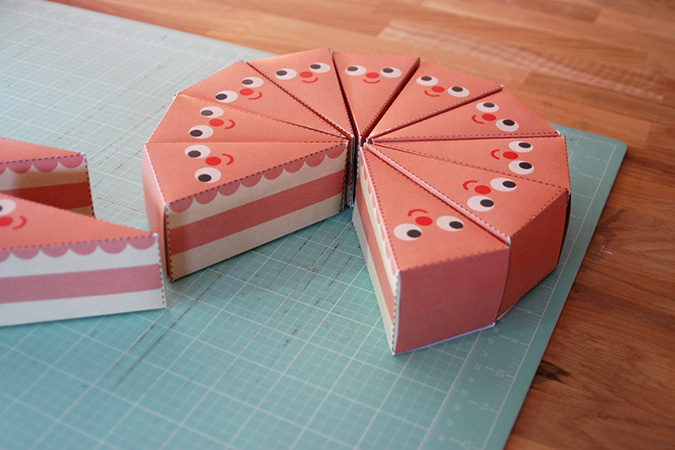 Today I wanted to share a free DIY printable that I made. 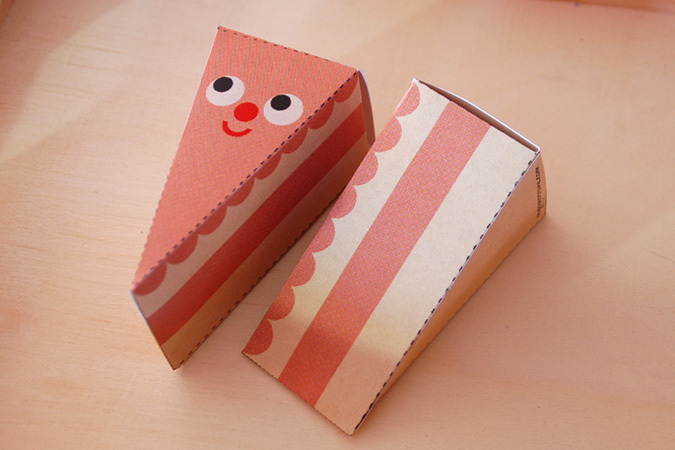 Little cake slice treat boxes. 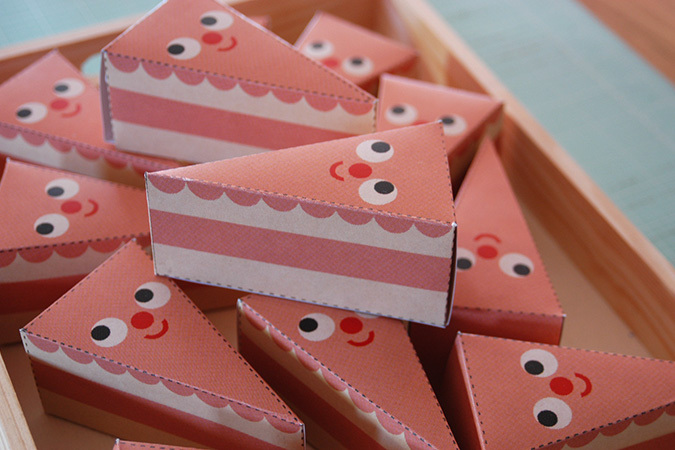 They make great party favors, or print one out and fill it up with treats for a birthday. 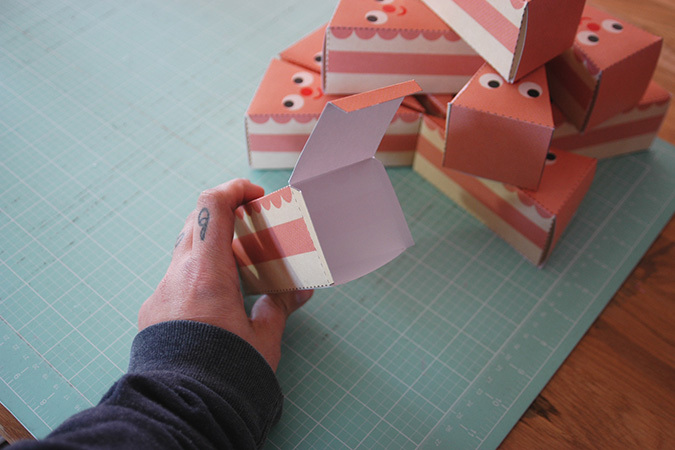 Twelve boxes will make a whole cake. 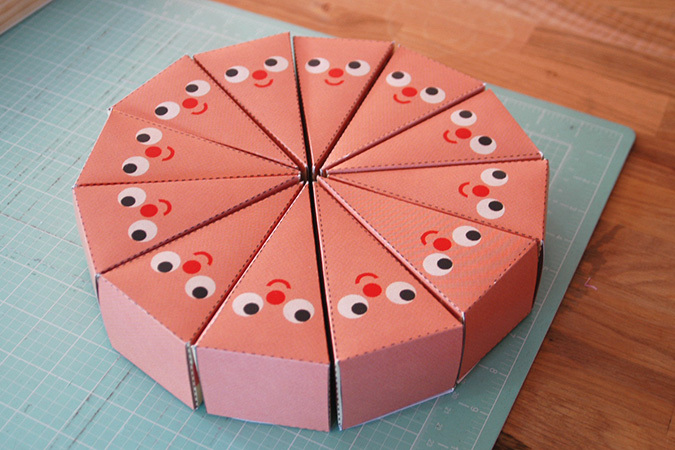 They are very easy to assemble printed on card stock and a little bit of paper glue. You can download the PDF here. Tagged DIY, my work, papercraft. Bookmark the permalink.